Looking for electrical engineering companies in Vancouver? Look no further. 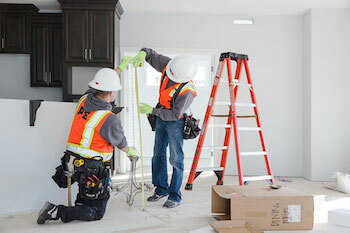 Our team at Prairie Electric is committed to providing each client with the quality and reliable electrical work that they expect and deserve. We are proud of our outstanding reputation in the Pacific Northwest. Here’s why clients in all industries keep hiring us for their electrical needs. #1: Our comprehensive list of electrical engineering services. We offer a comprehensive list of electrical engineering services for residential, commercial and industrial clients, be it electrical troubleshooting and repair, electrical upgrades, home improvement projects, or home remodeling. We put our all into every project, no matter how big or small it is. We work on remodels and additions, security light installations, circuit additions, network wiring, industrial motor controls, street illumination and traffic signals, and much more. If it’s an electrical project, we can do it. Our roots date back 35 years ago, when one electrician believed that he could build a company on integrity and quality workmanship. Now, we have 200 of the most qualified electricians to serve our community. We work with common sense and responsiveness. We don’t just hire people who are qualified – we want people who can think. We’re as principled as we are experienced. Our engineers anticipate problems in advance, and our supply team ensures our guys have everything they need by the time they get to work. #3: Our dedication to building relationships in Vancouver. We’re in this for the long haul. That means our goal is building an ongoing relationship with our clients, so they can rely on us to provide electrical service not just for the immediate, but whenever something else comes up later down the road. We give you our word that we will do our best work for you both now and well into the future. Ready to get started on your electrical project? Our experienced team at Prairie Electric is standing by to talk to you.